There is, however, another national actor that actually is shutting down the free press. And that could be a much bigger problem than the sum of all of President Trump’s tweets. 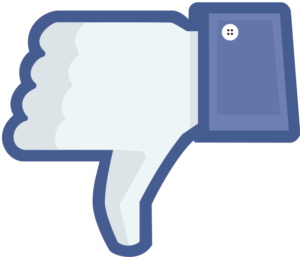 As of August 1, 2018, Facebook has blocked third-party tools from sharing posts on Facebook Profile pages. Professional journalists regularly use all social media platforms to distribute their content. To accomplish this most efficiently, they often use third-party tools as a one-stop vehicle to post to all their social media accounts simultaneously. It makes life easier. It allows us to exercise our free speech rights. Lately, Facebook (and to some extent Twitter) has been shutting down our ability to exercise those free speech rights. I realize you can make the argument that Facebook is a private company and can do anything it wants. Indeed, the Supreme Court affirmed Facebook doesn’t have to sell me a cake if it doesn’t want to. But what I’m addressing here is not the letter of the law. Rather, I speak to the spirit of the law, or, more appropriately, the spirit of our constitution. In the seemingly noble act of becoming a curator of the content that passes through it, Facebook has destroyed the one thing that attracted many to it: the ability to share their thoughts, ideas, and insights. In a sense, in order to prevent anyone from shouting “fire” in a crowded theater, they have thrown out the baby with the bathwater. This hit home most remarkably for both me personally and for the National Society of Newspaper Columnists (“NSNC”), the organization in which I currently serve as president. In its July 3, 2018, issue, in conjunction with America’s celebration of its independence, USA Today was kind enough to print my editorial on the role of Revolutionary War pamphleteers in laying the foundation for what eventually became our First Amendment. This op-ed proved quite popular (judging by the resulting explosion of my Twitter feed). To broaden its reach, the NSNC decided to boost the Facebook post of the article. Facebook rejected this, saying the piece was “political.” We don’t know how they came to that conclusion. Could it have been the word “Revolutionary”? Or maybe “War”? Our able communications officer remedied the situation and Facebook eventually ran the ad. We shrugged it off as an “Oh, well” moment and moved on. If you, like me, are a lover of free speech, then this sort of thing makes you cringe. I’m a good old-fashioned 19th-century liberal. That means, to borrow from William Blackstone’s Commentaries, (“Public Wrongs,” Book IV, Chapter 27, paragraph “Fourthly”), I’d rather see “ten guilty persons escape, than that one innocent suffer.”1 I may not be smart enough to run a billion dollar high tech company, but I know censorship when I see it. I’d much rather have to put up with the propaganda of three dozen fake Facebook accounts than see one innocent columnist’s work stricken from my Facebook feed. So here’s the advice I offer – free of charge: ditch the computerized algorithms, allow folks the freedom to post any speech they want, and let the buyer beware.